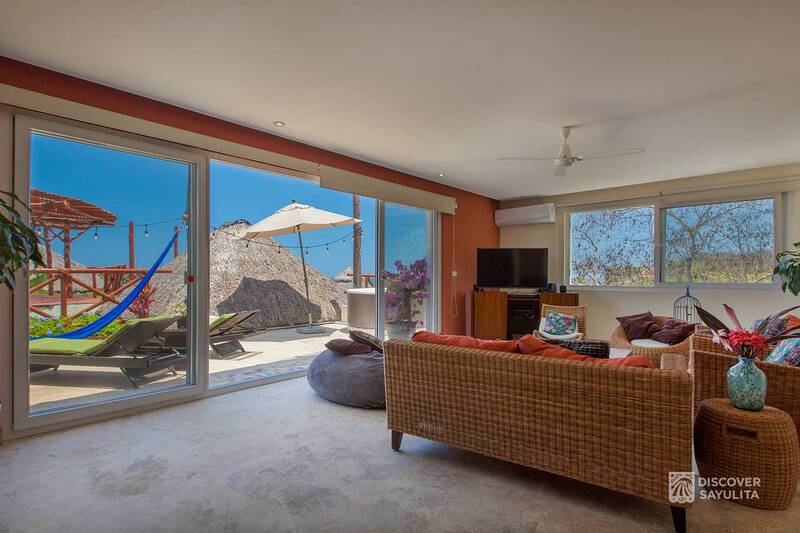 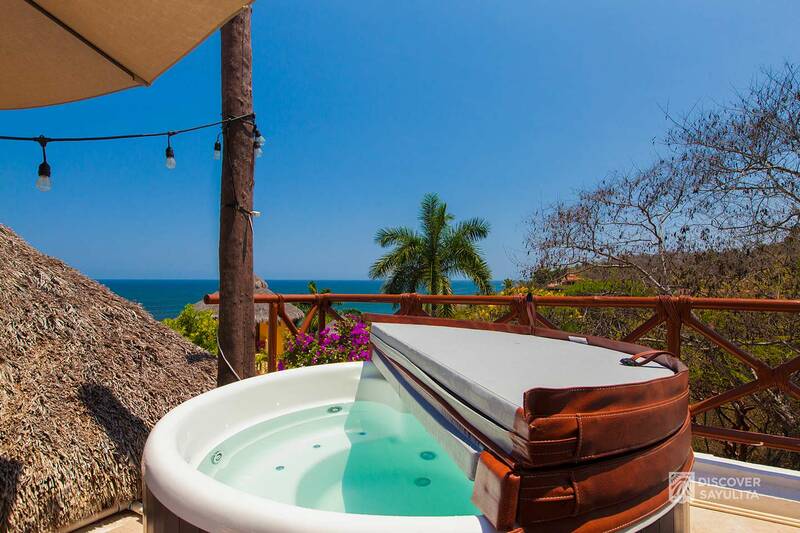 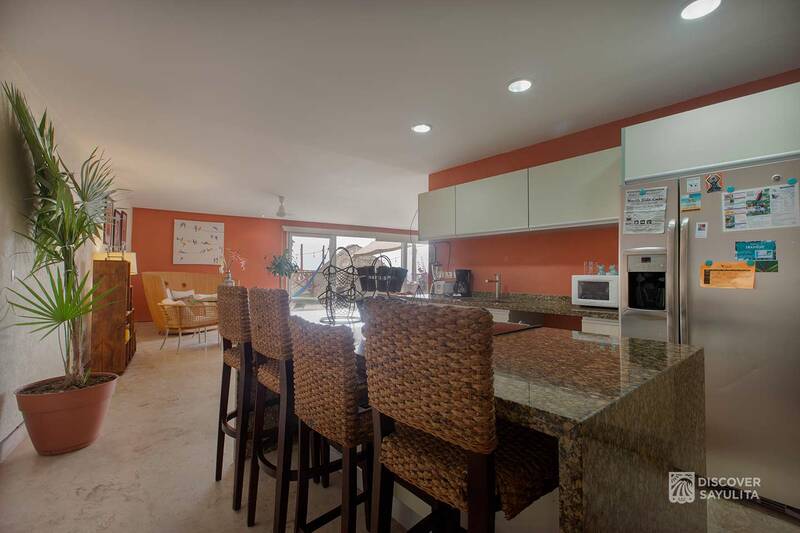 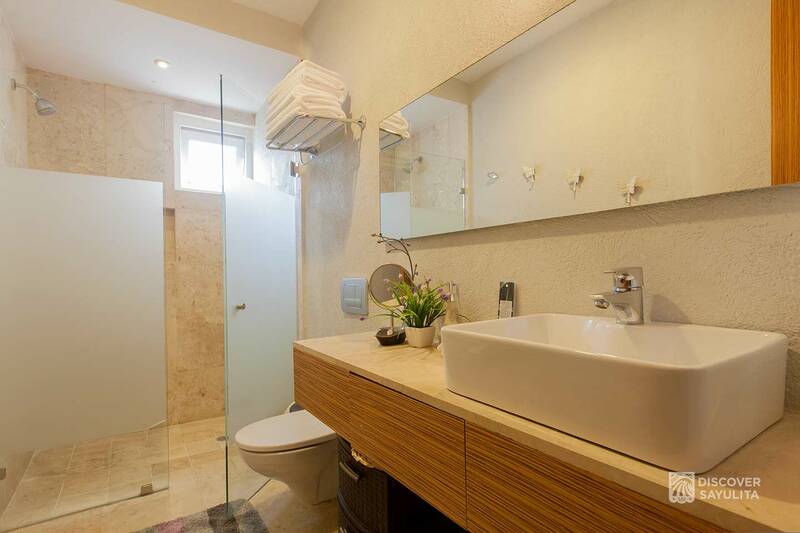 Located in the Pajaro de Fuego complex, Penthouse Quetzal is a 2,300 square foot luxury unit with panoramic views of the entire bay of Sayulita and a private jacuzzi. 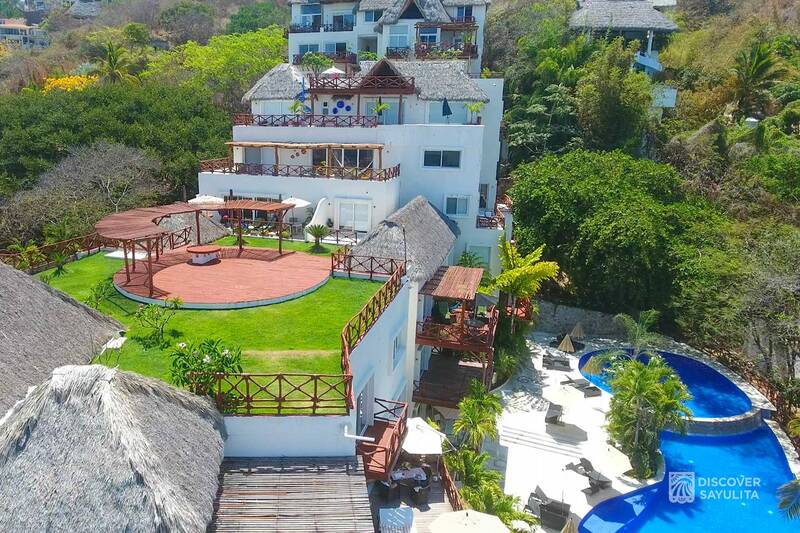 Dual balconies with hammocks, sun chairs, outdoor dining, and jacuzzi overlook the ocean and infinity pools are just two floors below. 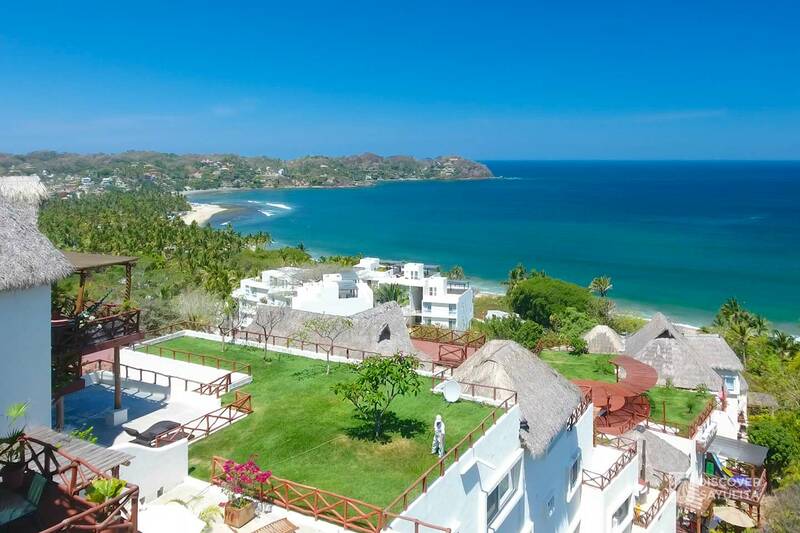 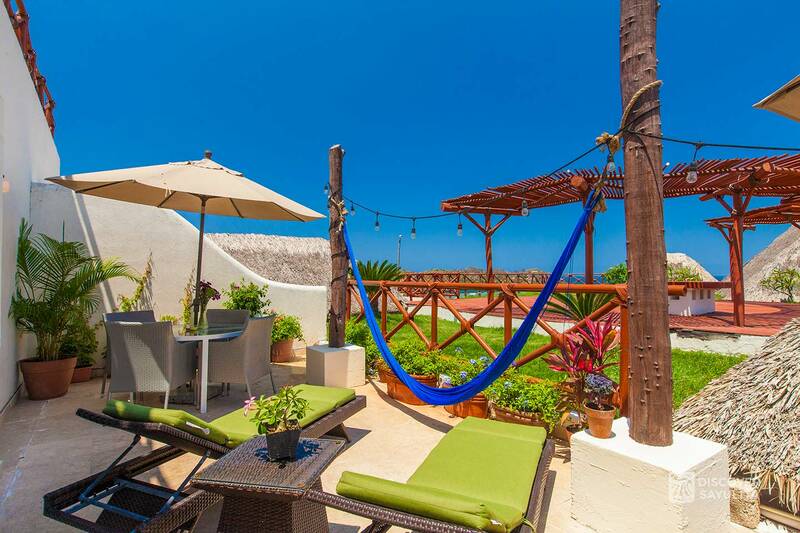 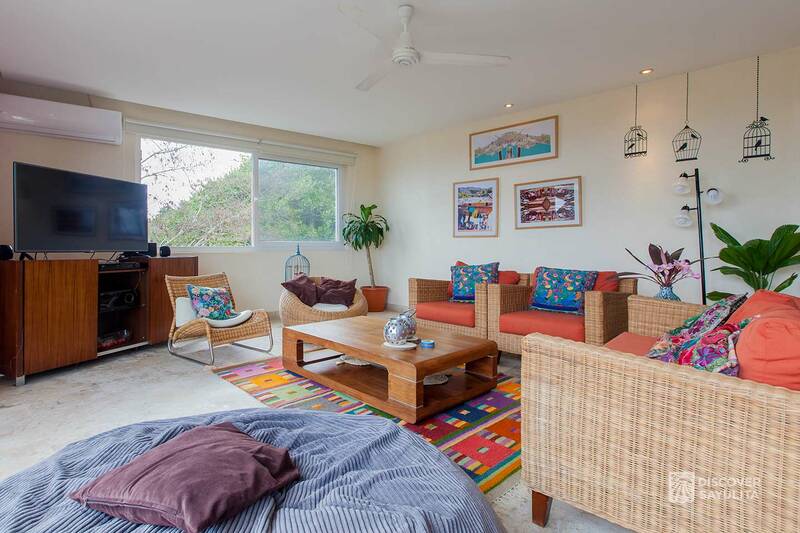 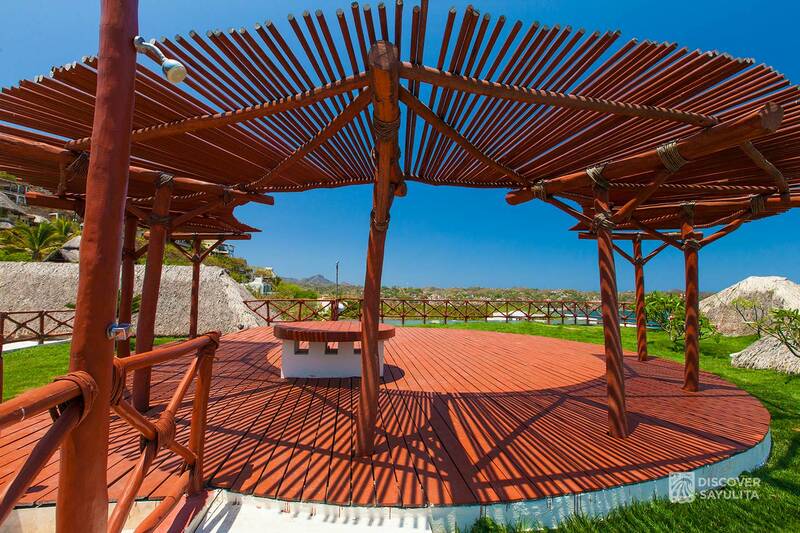 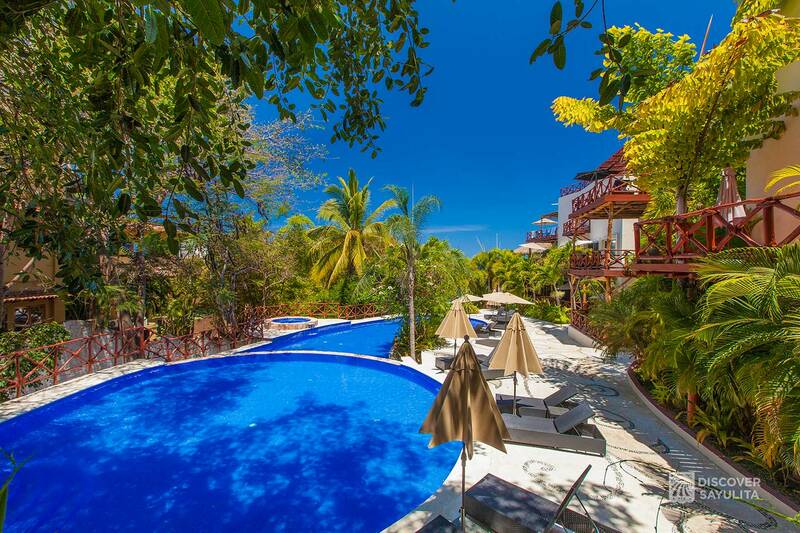 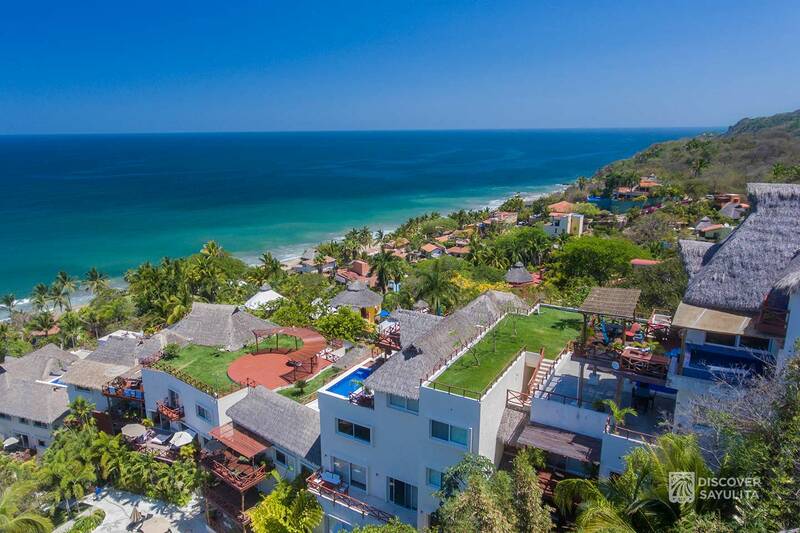 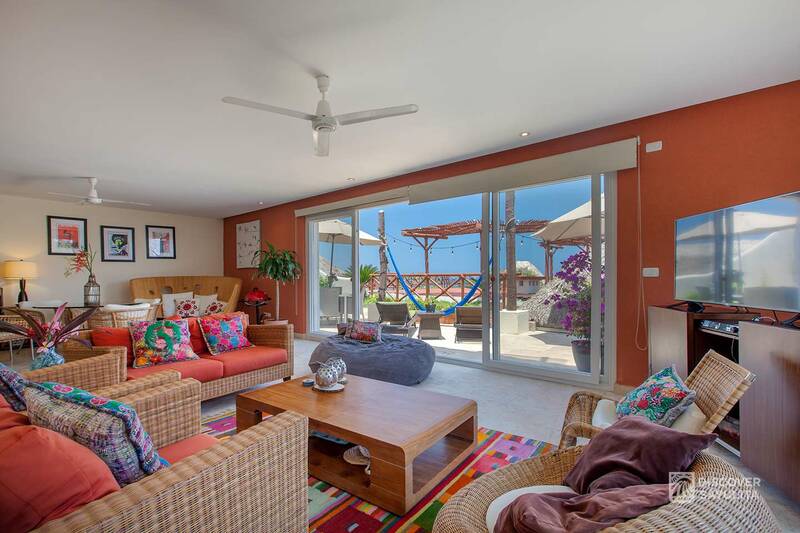 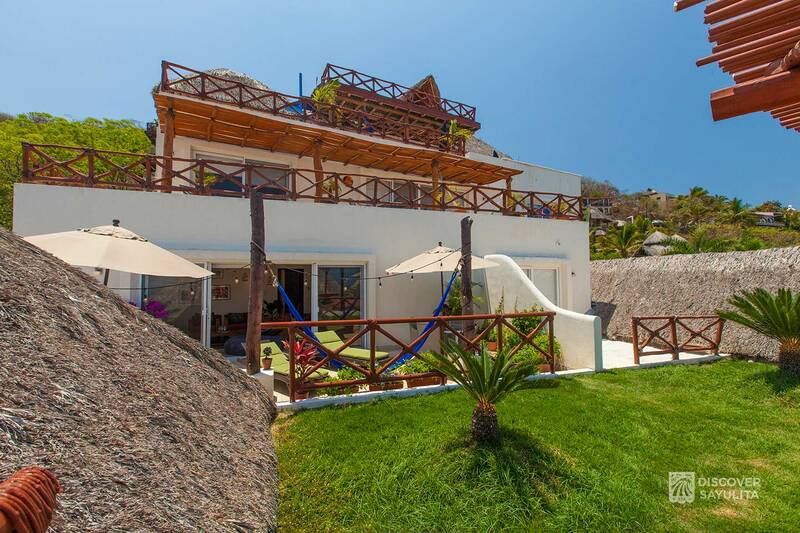 The main balcony opens out to roof gardens where you have one of the best views in Sayulita. 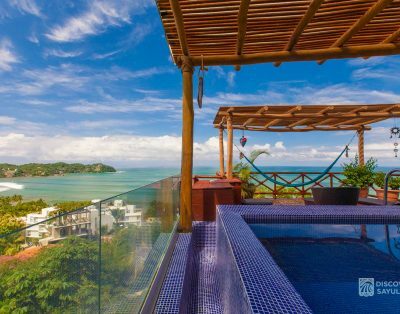 See whales jumping during migration season with panoramic views of the entire bay and town below. 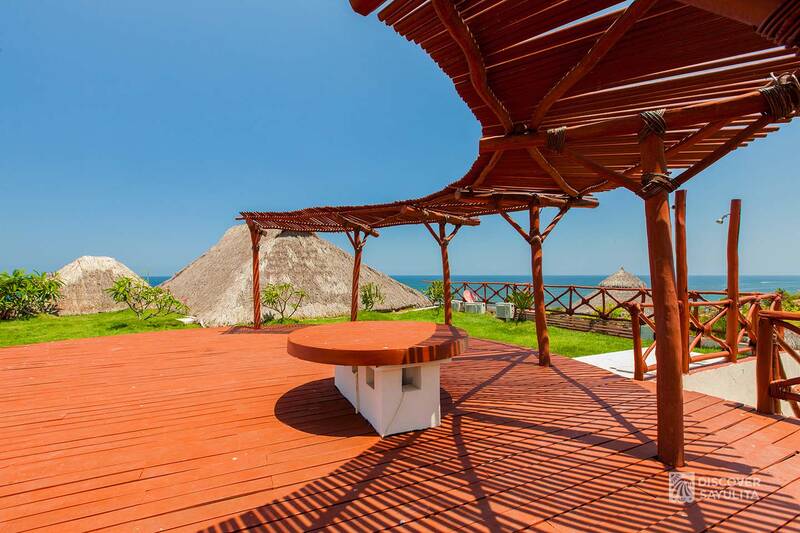 Watch the sun as it sets on the ocean. 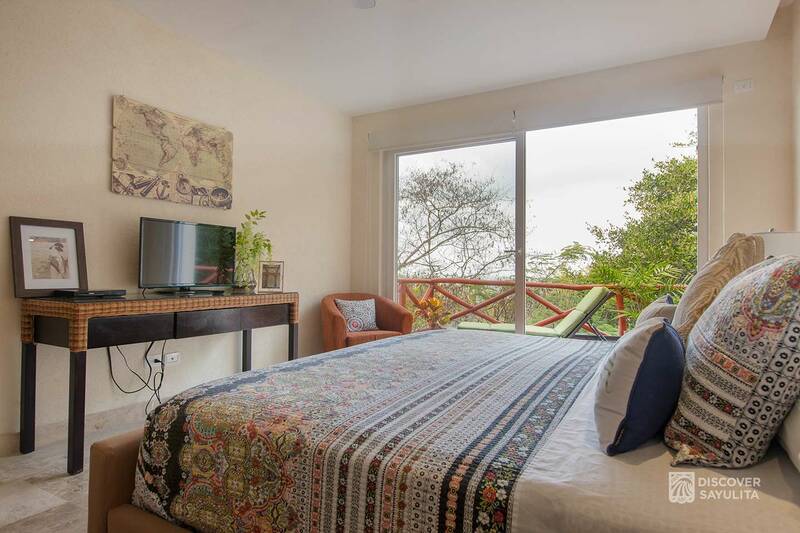 Wifi internet, cable TV and a 50″ Smart TV with Netflix are included. 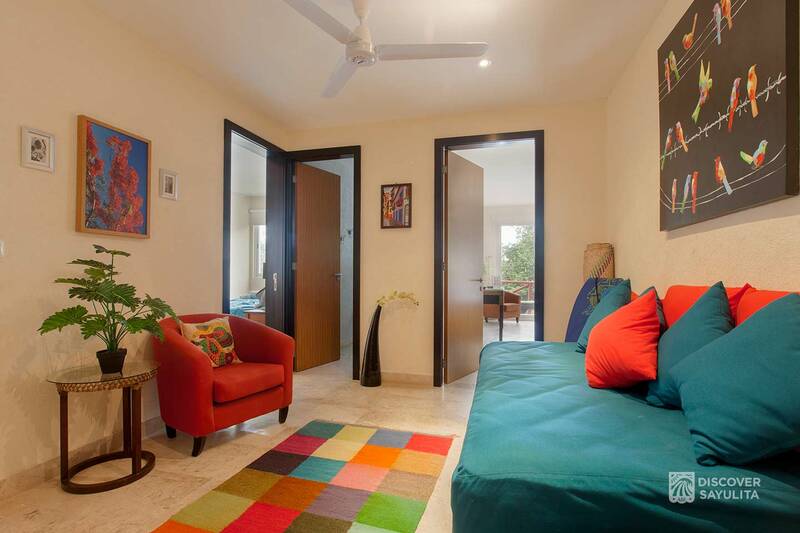 The master suite includes an additional TV/DVD. 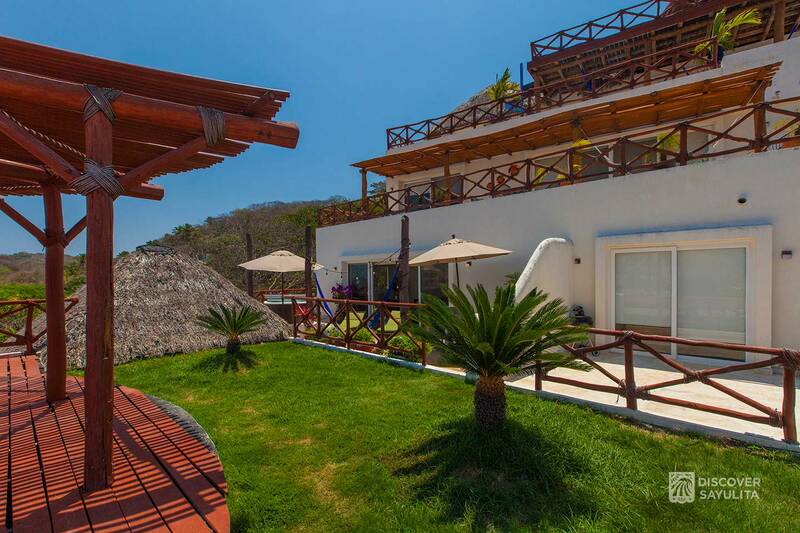 Penthouse Quetzal has a large library of books, board games and over 50 movies to share. 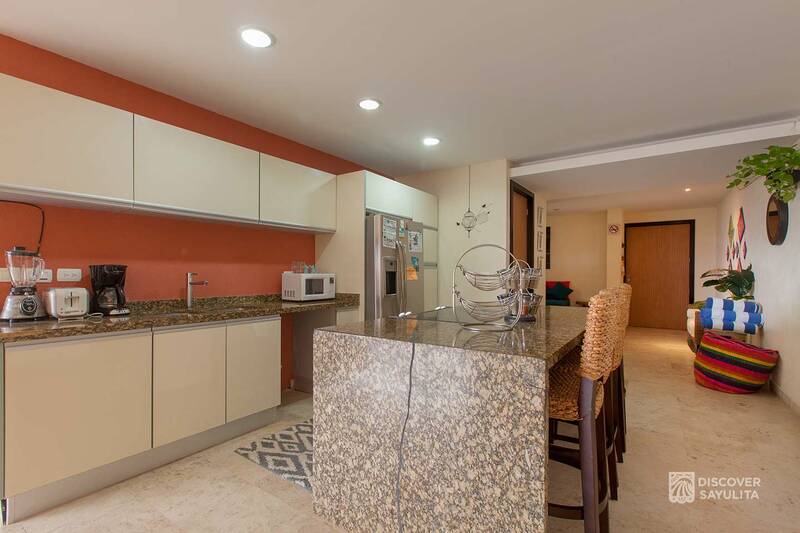 The kitchen is state-of-the-art and includes all you need to prepare meals. 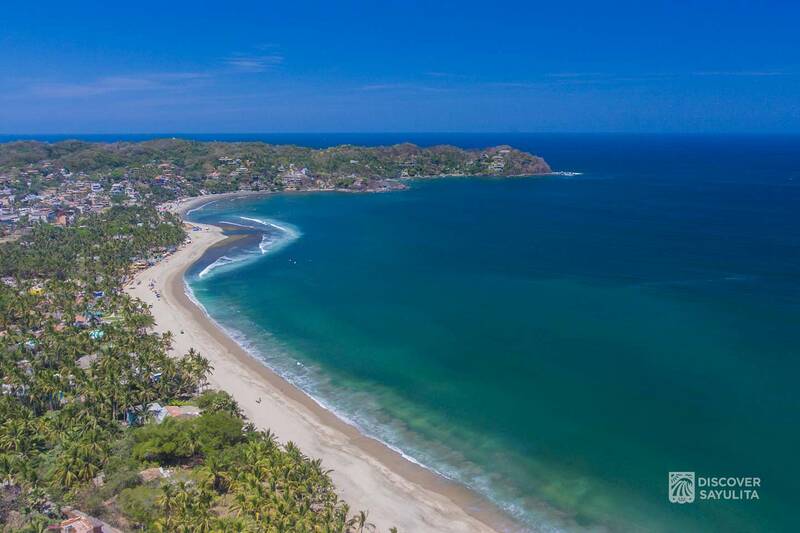 Beach supplies are also included. 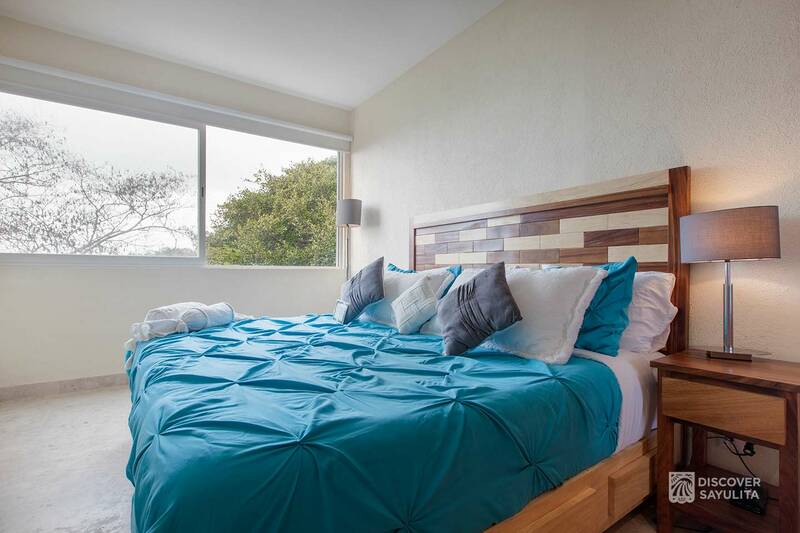 Dual master suites make the unit perfect for 2 couples. 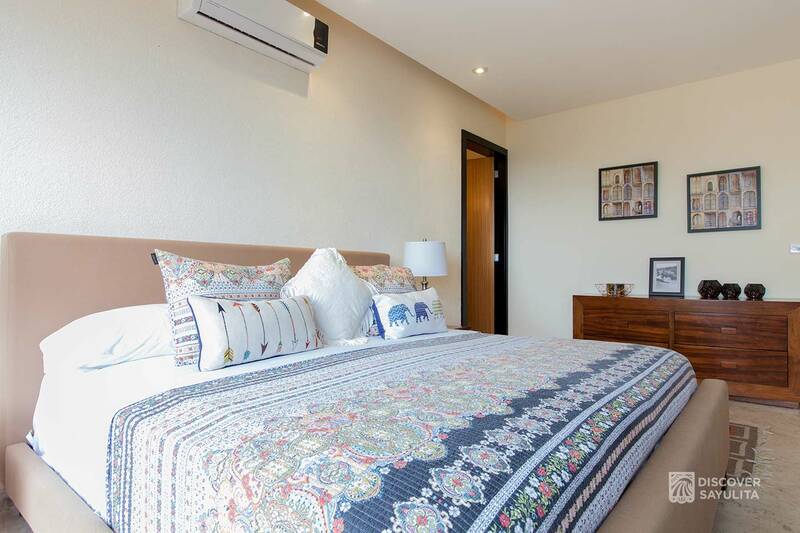 A 3rd guest room hosts one double bed and a sofa bed. 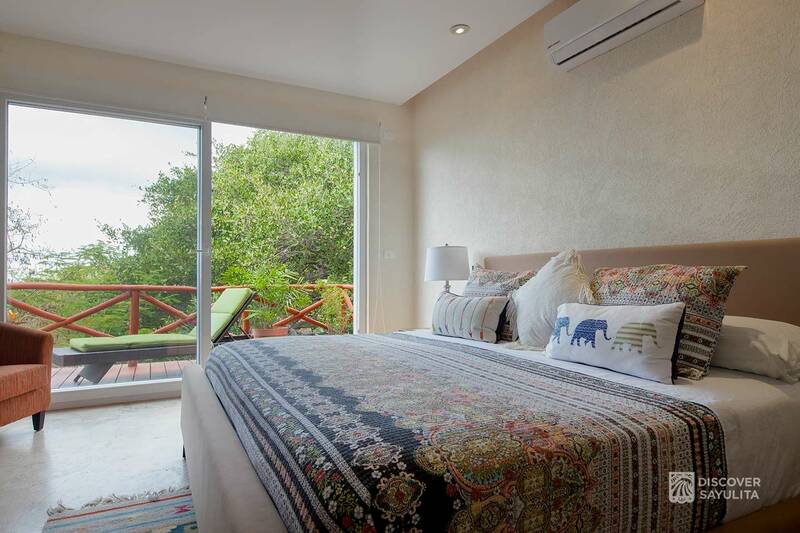 The first master suite has a private balcony with a lounge chair and tropical plants overlooking the ocean, walk-in closet and en-suite bathroom. 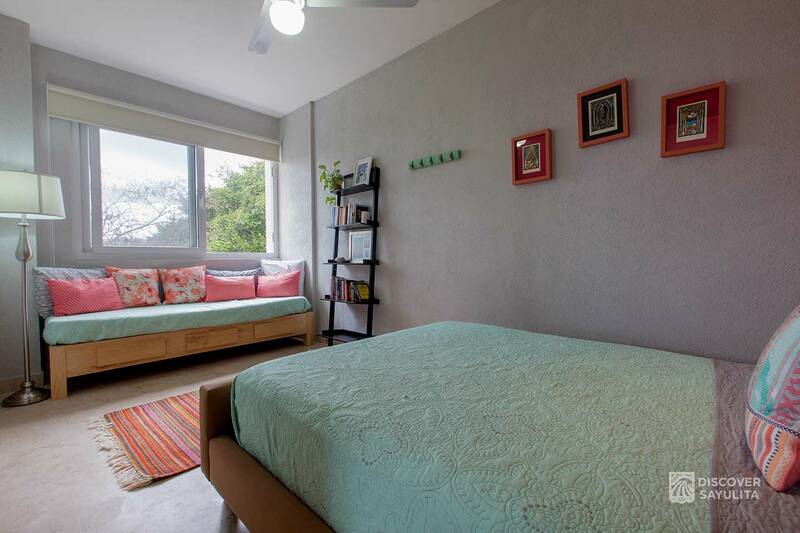 There is also an additional day bed in the foyer and an air mattress to use if needed. 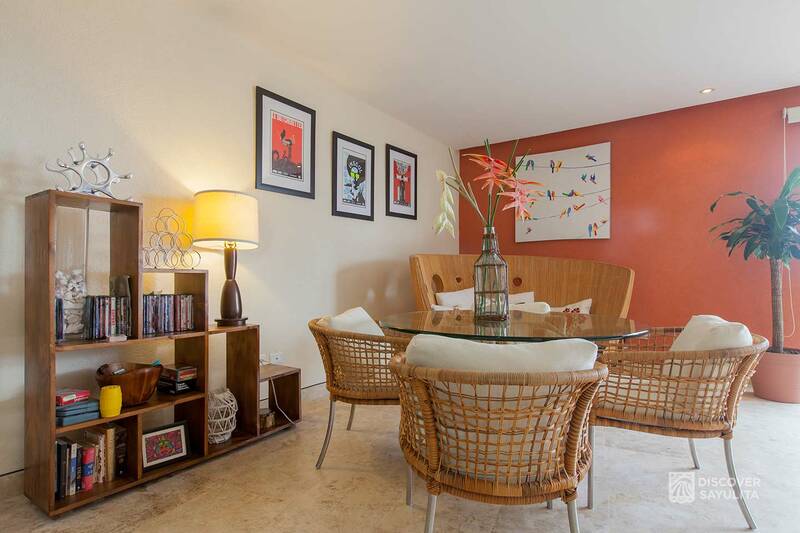 Italian marble floors throughout, all new furnishings, beach chairs and umbrella, and air-conditioning throughout the apartment. 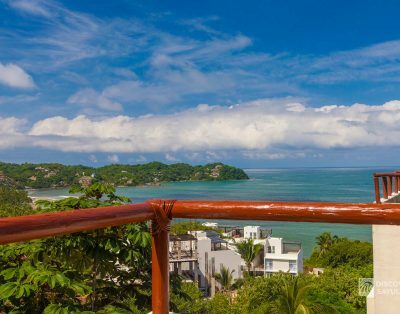 Feel the sea breeze and hear the waves from your balconies. 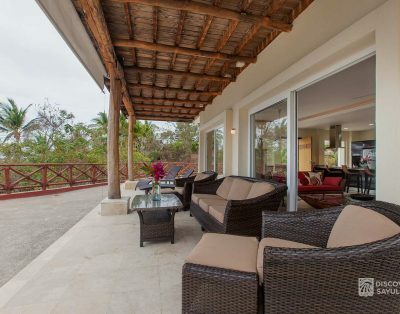 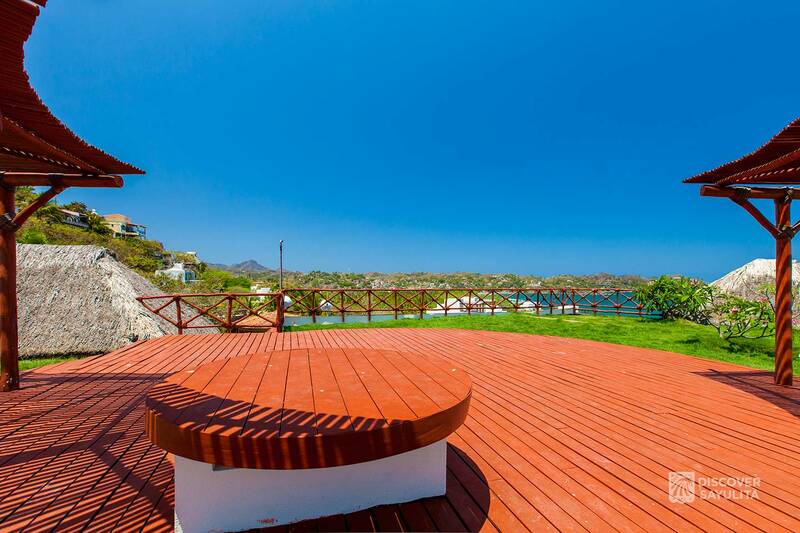 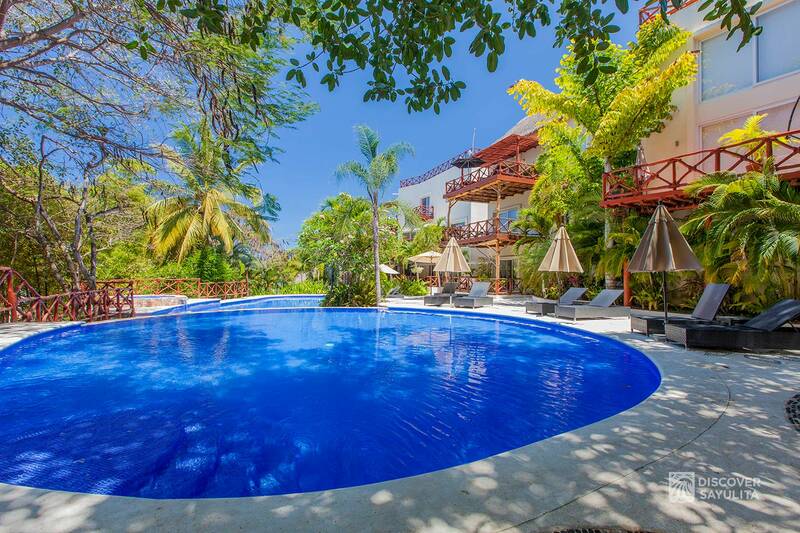 Penthouse Quetzal is just a minutes walk down to the tranquil north end of the main beach. 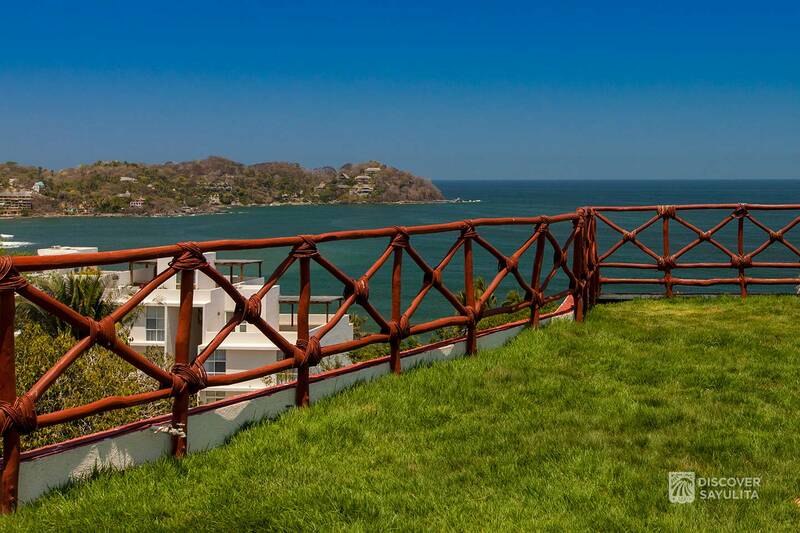 Our complex is on a hill/incline. 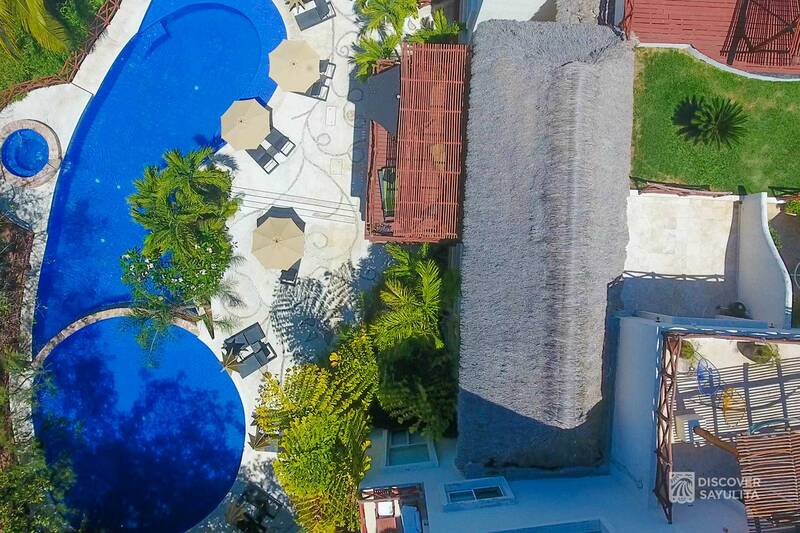 There is an short incline to reach the front entrance, and 15 stairs to reach the infinity pool so guests must be mobile/able to climb stairs. 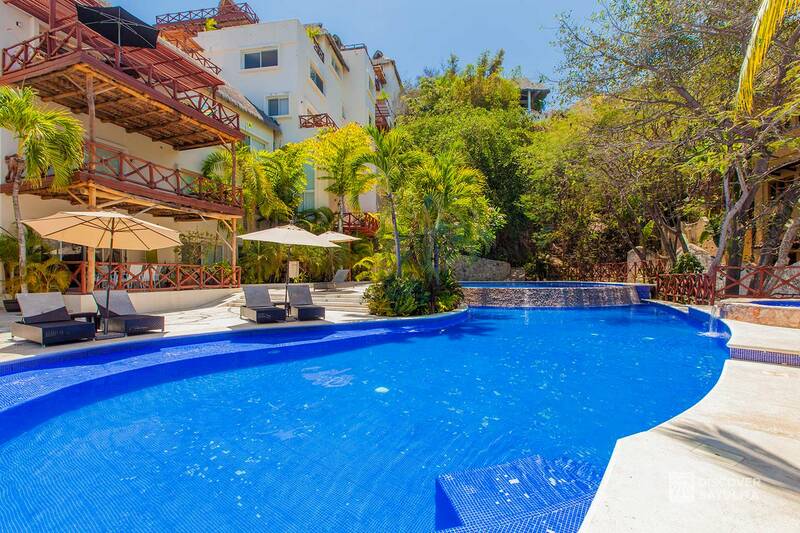 Penthouse Quetzal is centrally located close to the pools.